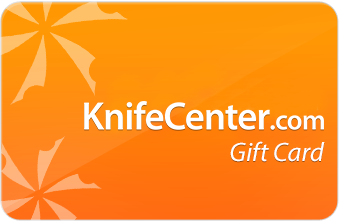 Knife Center has some of the most popular and best tactical knives that were made with our troops and your wallet in mind. Our collection of great combat knives has it all - including folding combat knives, combat boot knives, and the best neck knives. For your browsing convenience, we've gathered the major combat knife types together for you, and they’re discounted to provide you with an even better value. From high tech to old stand-bys, we have dozens of the finest tactical combat knives available. We have a great variety of automatic opening knives here at the Knife Center. These knives ensure that you are faster than the other guy. Fixed and folding knives with curved blades used for close quarter combat. Karambits have evolved into one of the ultimate self-defense weapons. Made famous by their use in the Vietnam war. Combat tomahawks give you the edge in close quarters combat, having more reach than most knives. Easy to carry and deploy tactical knives. Boot knives are backup knives, your last line of defense. But that doesn't mean that they have to be low quality, which is why we stock the best. Easy to carry and deploy tactical knives. Neck knives are easily concealed beneath a shirt or a jacket, and are easily accessible for emergency tactical situations. American made tactical combat knives. Bayonets are meant to be affixed to a gun, to turn a long distance weapon into a close quarters combat weapon. But these also work great on their own, as heavy duty tactical knives. Designed for the Special Operations Command's SERE (Survive, Escape, Resistance, Evasion) School at Fort Bragg, North Carolina, the SERE is a full-sized combat folder. Built tough and simple for performance. This is a great series of folding combat knives built in the USA. These were designed by Shane Sibert to honor the courage and commitment exhibited by our fighting heroes. Elishewitz designed high tech all around utility knives that feel totally natural in your hand. The steel is either super hard 154CM stainless or harder yet M-2 Tool steel. Handles are G-10. A series featuring the AXIS lock system and a great 3-D beveled handle. This is a futuristic style and great quality knife. A great addition to the BLACKHAWK! selection, this combat knife has a button release and a massive handle made to be utilized with or without gloves. The classic World War II Fighting knife designed by Col. Rex Applegate. We have many varieties of this piece including boot knife versions and damascus blade models. German designed fighting knives recreated from past wars. Knives designed using modern technology for a modern world, by knife fighting expert Jim Wagner. A collaborative effort from two great manufacturers: BUCK and TOPS Knives. Beefy and super strong USA made combat knives with multiple functions. Award winning. The quality of construction and designs are second to none- these are the best available! With blades made of a good steel and a heavy duty lock-up system, the RECON knife series from Cold Steel are great combat knives. Columbia River offers an amazing assortment of combat fixed blades. The designs are from the best knife makers in the world and the quality and value are amazing. Kit Carson is the designer of the M16 Series of combat knives. He designs for function, not fad. Heft any M16 and you'll know what that means. Perhaps the original, modern combat knife, the CQC7 still rules. It popularized the G-10 handles, liner locks and premium steels. Available in several sizes and configurations. Designed by the Legendary Colonel Rex Applegate, a man who knew as much as anybody about close quarters combat, these folding knives embody his vision of a folding combat knife. A series of manual as well as automatic opening combat folders. Well designed and economical. The award winning Guardian Back Up is a sleek, comfortable, and lightweight boot knife. The patented sheath allows the user to adjust the amount of pressure required to insert and remove the blade. Re-introduction of a classic. This 40 year-old jewel features a black oxide coated 420 HC double serrated blade and die case aluminum handle. One of the greatest tactical combat knives ever made. Fixed blades with a great utilitarian style. Models include large camp knives as well as neck knives. Strong and fast opening, these are among the best, heavy duty folders we offer. At Maxpedition, they believe that the best knife is the knife you have on you. Maxpedition founder Tim Tang draws on his passion for tactical knives and a decade of collaborations with the industry's top custom knife makers to debut this design. These are good quality carbon steel combat knives made in the USA. The Spec Plus line of combat knives was developed specifically for the US armed forces. We offer this Military/Police series of wickedly fast and great looking assisted opening pocket knives. The Border Guards are especialy great deals. SOG has built a great assisted opening combat knife in this series. It is available in different blade styles and handle finishes. The knife that won the SEAL Knife evaluation. We also have their Daggerts, Trident, Government Tactical and Bowies. 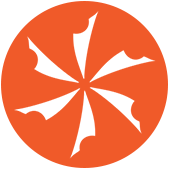 Aura SEAL, Agency. Built like a truck, this American made series is worth having when you need it! Spyderco crafts these in Colorado with the finest materials possible. The handle is G10 laminate with no liners - except the locking side. This is a great all purpose full size folding knife as well as a combat knife. TOPS Knives are tools designed, and built, using the extensive knowledge and real life experiences of 12 operators with backgrounds in the military, law enforcement, outdoor professions, and the martial arts. Built like a tank and American made. These are some of the toughest folders we offer. Ken Onion and Strider are some of the designers.